McGarrell Reilly Group are delighted to welcome Hanley Energy to Units 7 and 8 in Block 4 CityNorth. Hanley Energy Ltd is a dynamic, Irish-owned and managed company specialising in the design, supply, installation and support of customised energy and critical power management solutions for a diverse range of business sectors. 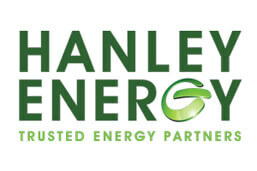 Hanely Energy has over 80 years of experience and heritage and we wish them continued growth and success.